When I first moved to London I got excited about weekends exploring the city and passing on my recommendations, but over the past few years I’ve found myself feeling less motivated to get out there to find new things in London. I suppose that when there are so many things to do right on your doorstep it is easy to become complacent. I thought that once I became my own boss I would go back to my old exploring ways, however things haven’t been quite that easy. Since working on my business I have been chained to my laptop, barely leaving the house. So when John Lewis asked me to get involved as part of their #explorethecity campaign* it couldn’t have come at a better time. Explore the city is a handy web tool that (in conjunction with their range of fitness trackers) encourages you to get out and – you’ve guessed it – explore your city. 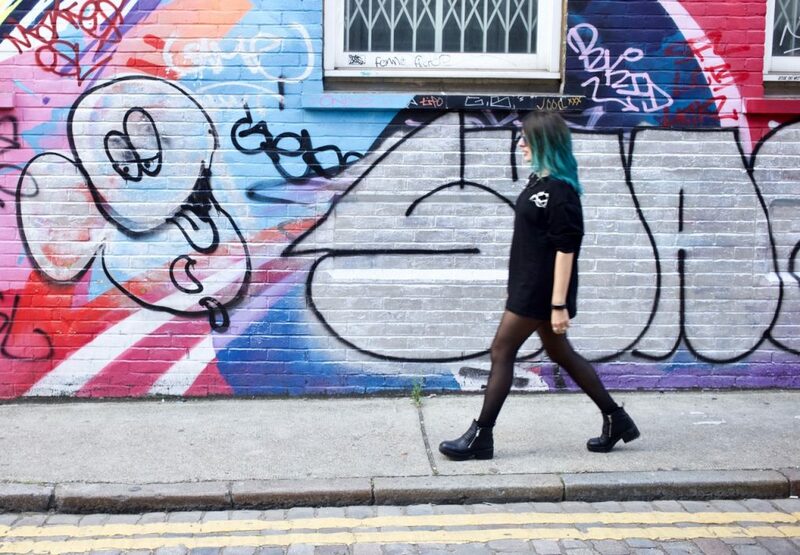 I decided that Shoreditch was the area I was going to take a wander round; though it is the place I spend most of my time, I have become so used to it and speed through without even acknowledging the area’s vibrancy. My approach for rekindling my love for this part of East London was typing in Shoreditch High Street to the John Lewis website, and using some of their suggestions as a starting point. From there I simply wandered without purpose, something I have not done in what seems like forever. 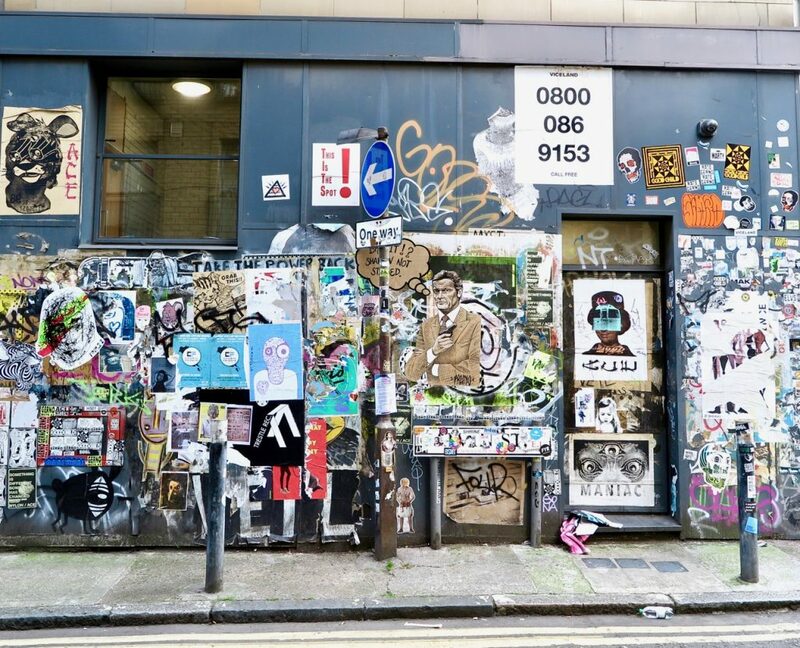 Spending some quality time in Shoreditch reminded me of the creative spirit that drew me to the area in the first place. If you follow my Instagram you will know that I am bit of a street art stalker and Shoreditch is one places I snap the most. 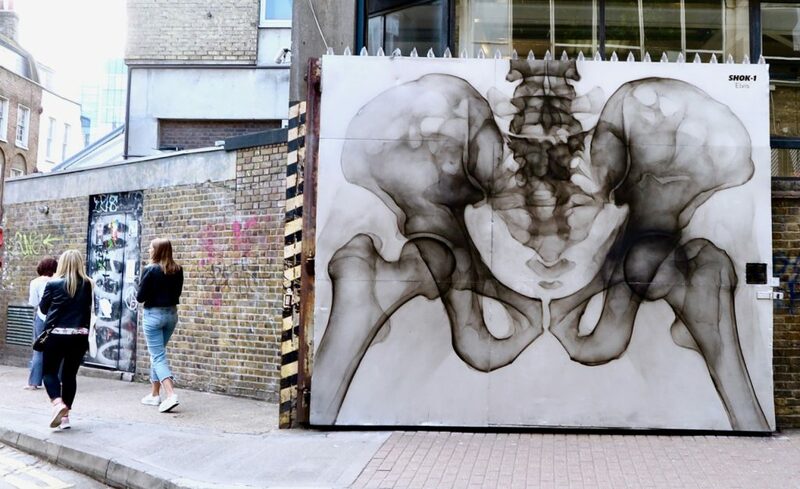 The work on display is always changing, but the area continues to embrace a colourful culture, drawing in local artists, and those from around the world to use this part of East London as their canvas. Most people visit for the magnificent murals, but keep your eyes peeled because there are many smaller, less obvious, pieces of art to behold if you take the time to look for them. 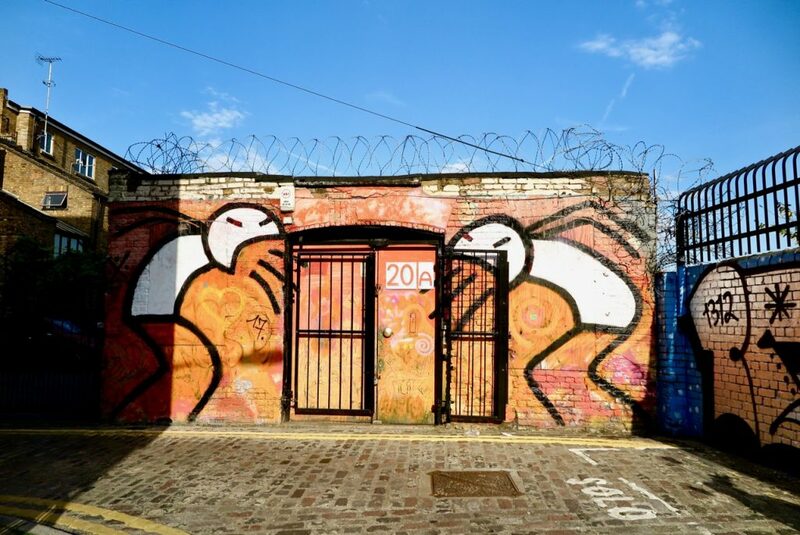 A few key locations for art include Brick Lane, Redchurch Street, and Old Street; but don’t be afraid to branch off onto the side streets and have a wander. Down unassuming alleys and roads is, in my opinion, where you find some of the best art. 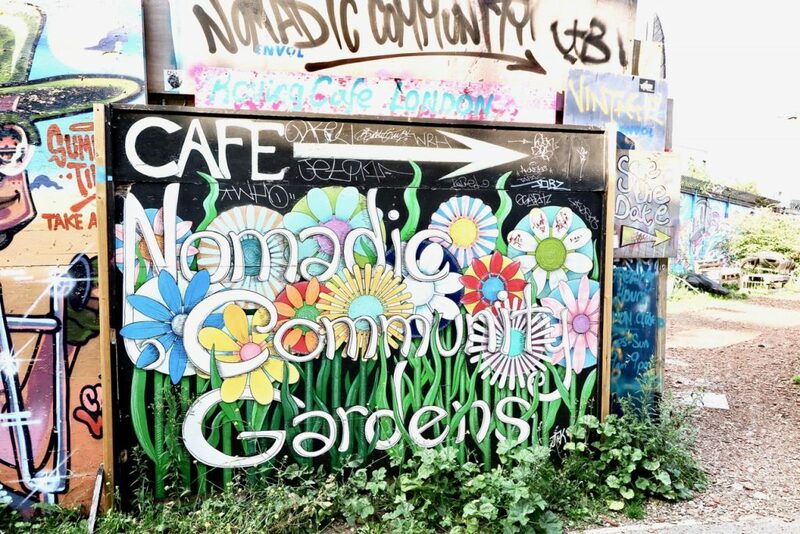 This approach lead me to the Nomadic Community Gardens – once a wasteland, the space has been transformed into an outdoor creative space with walls covered in murals, and buildings made from salvaged materials. Every time I visit the gardens it has continued to change and expand, really encapsulating community spirit. 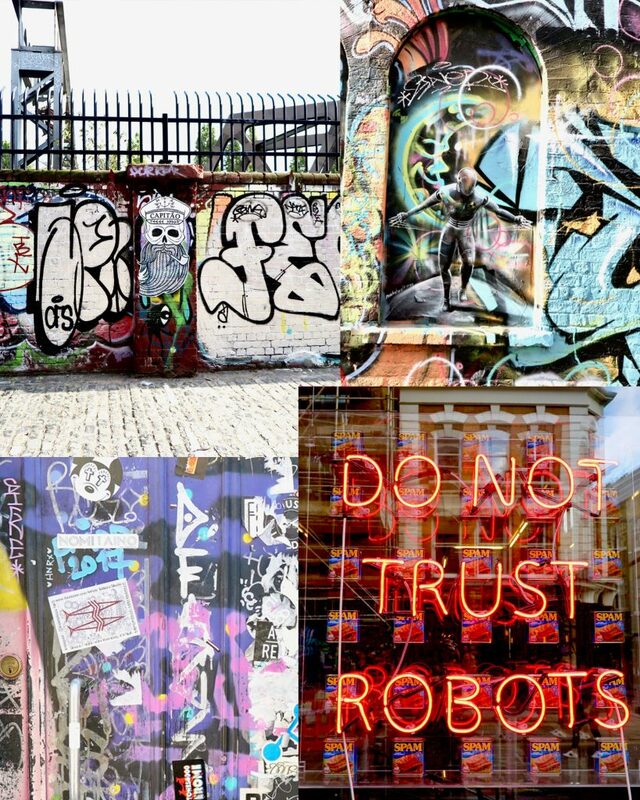 If you want to find out more about street art in this area there are increasingly popular street art tours available. 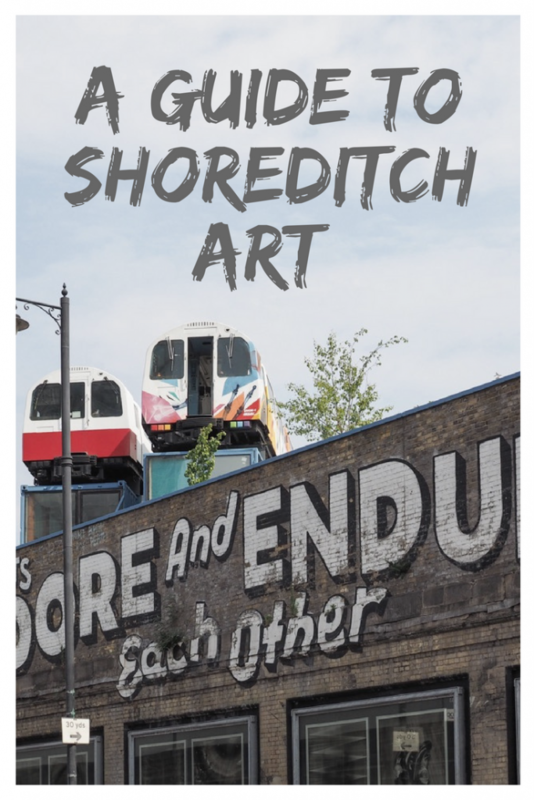 I did one with Street Art London a couple of years back and really enjoyed being taken round by a member of the community and learning more about the artists and history. Stolen Space, a small gallery influenced by subcultures and championing alternative artists the exhibits are always interesting and completely unique. 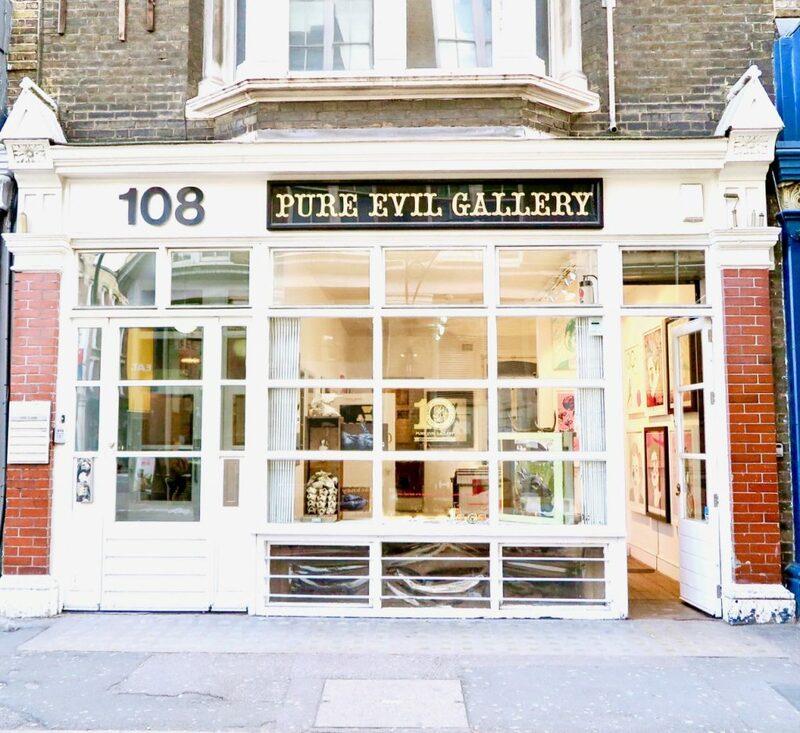 Pure Evil Gallery is another gallery I swing by often; the exhibition space displays work by urban artist Pure Evils’ as well as other street artists, the collections tend to have a colourful pop art theme with a dark twist. If you want to do a full tour of the hundreds of galleries in the area I would highly recommend checking out “first Thursdays”, where over 150 art spaces open their doors late welcoming visitors to see their latest exhibits. 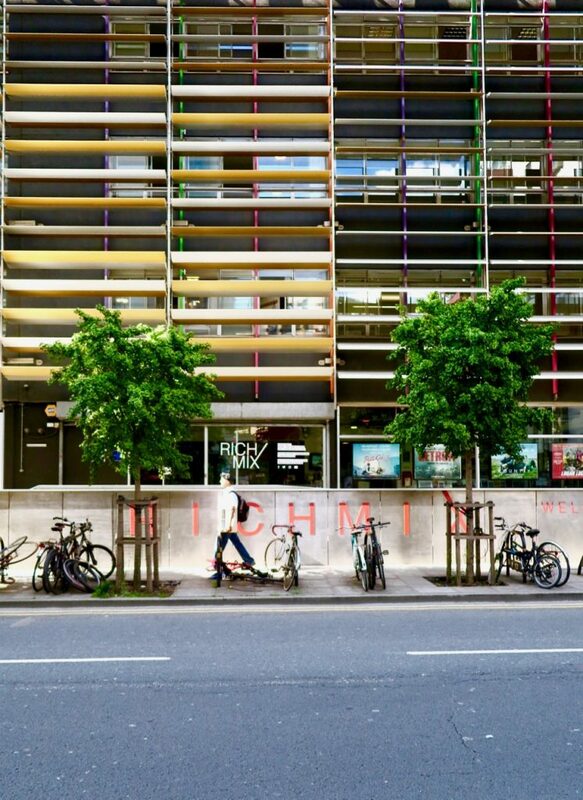 You can access a map through Whitechapel Gallery’s site if you want to explore yourself or you join one of the free walking tours. 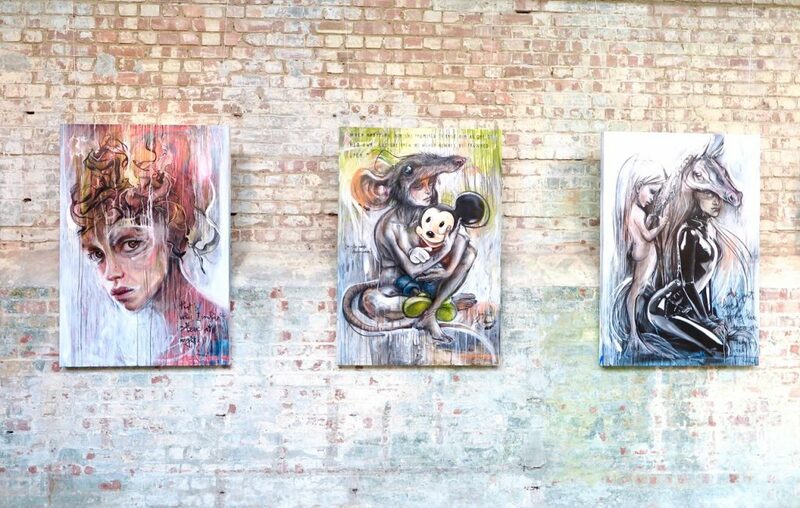 It’s not only galleries that showcase art, but many of the local bars and restaurants too. Next door neighbour to Pure Evil is one of my most frequent haunts: The Book Club; the interior changes frequently with walls taken over by artists. 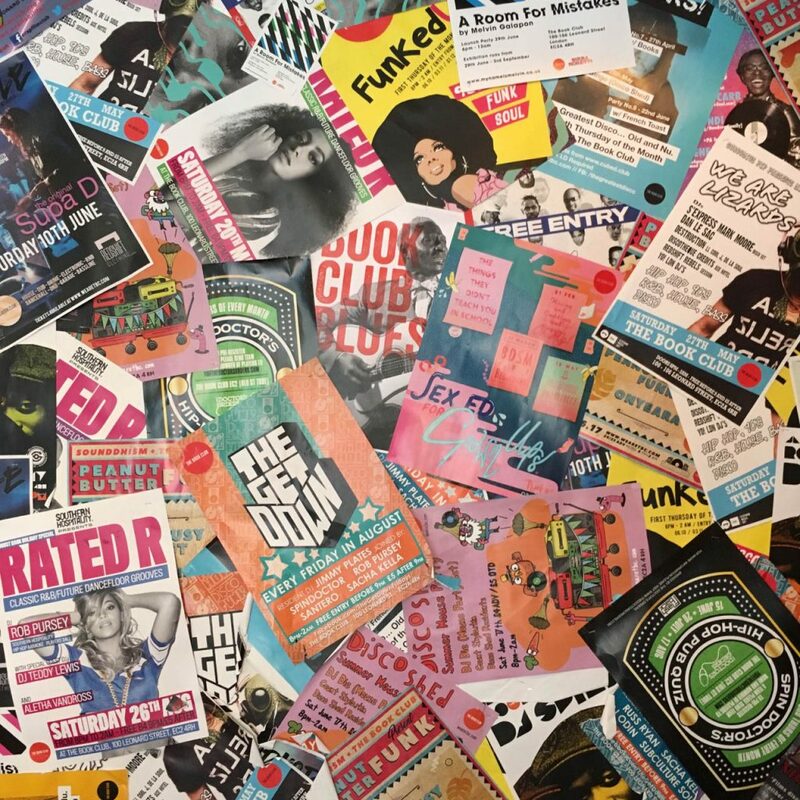 As well as the decor they also host a range of creative events. 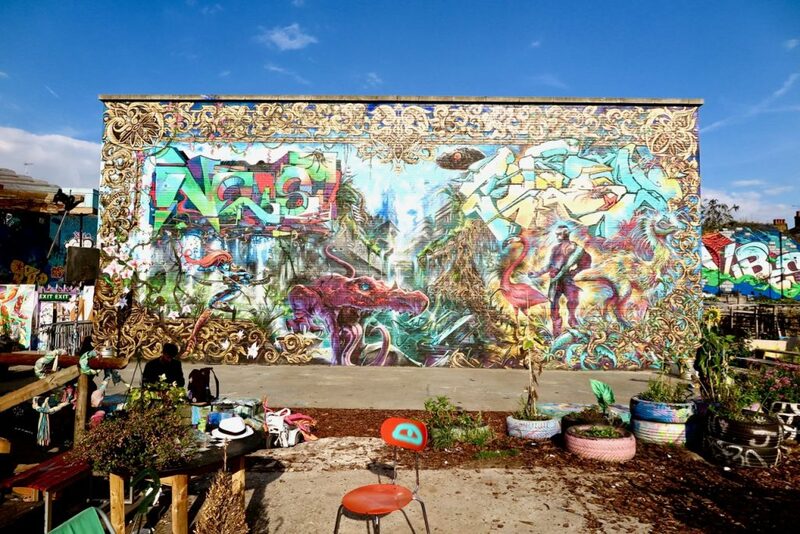 Other places that are great to have a drink whilst being surrounded by art are: Far Rockaway, Cargo, and Monty’s Bar. 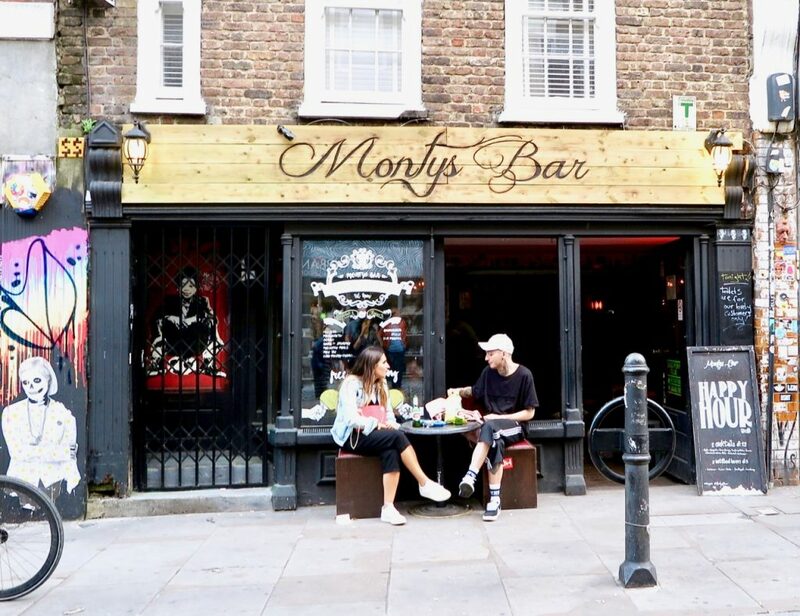 If a coffee is more your style then Rebels Alliance sell a variety of art, vintage, motorbike, and skate gear whilst also serving up a great cup of jo. 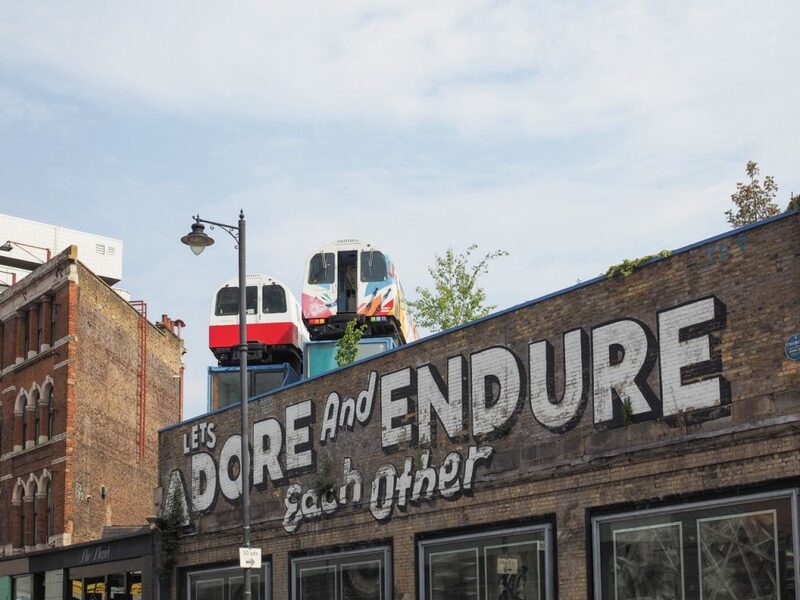 The iconic Shoreditch tube carriages don’t only look cool but are in fact the workspace for around 30 creatives as part of Village Underground. Below this quirky desk space this creative hub expands to a warehouse which hosts a hugely varying programme of events. Another space which I always keep an eye on the programme for is Richmix. On first appearance it may just seem like a cinema, but it is also an independent art centre who host entertainment and art events as well as housing over 20 creative businesses. 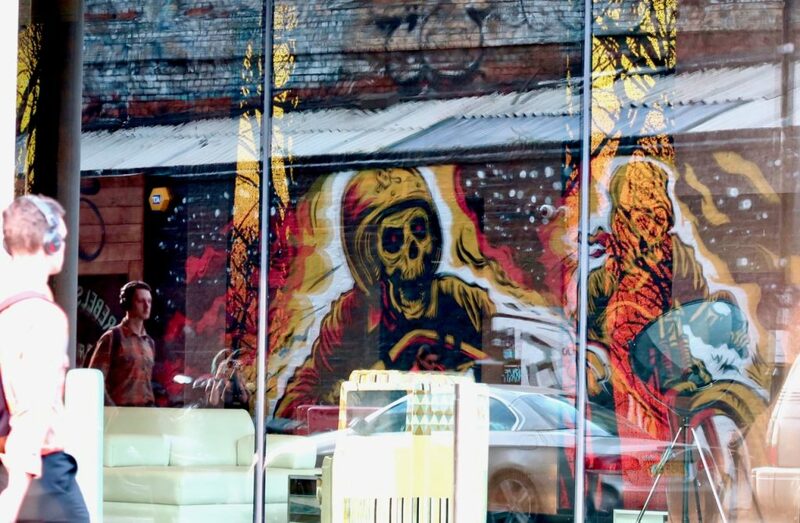 Though Shoreditch is rapidly changing (and is not the area I fell for 7 years ago) it’s creative heart remains and can be seen in the reflection of its new glossy neighbours. Despite tracking 6,500 steps on my fitbit the day I took these pictures, this post barely touches on the huge variety of creativity held within this small patch of East London but hopefully it will give you a taste of why it is such a great part of the city to go and explore. 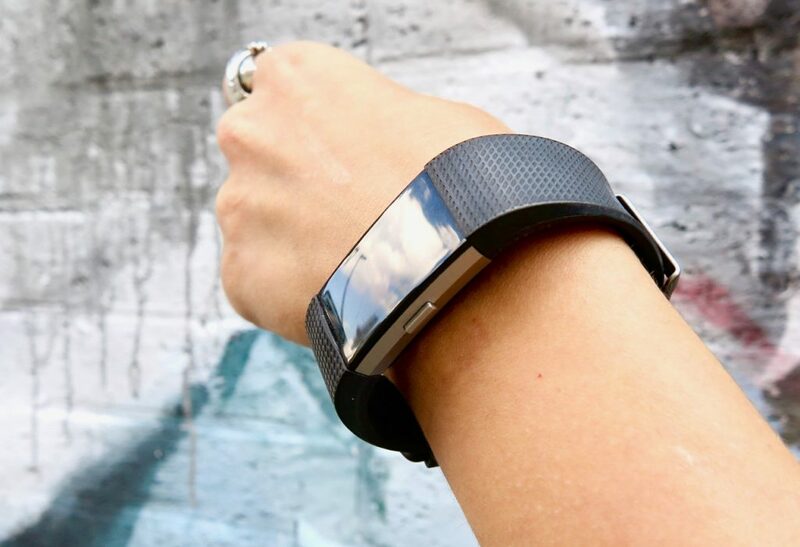 *This post was in collaboration with John Lewis and I was gifted my FitBit for taking part in the explore the city campaign. However, as always all word,thoughts and opinions are my own.